A new year! Let’s see if I can blog a little more often this time around, at least once a month anyway. So, 2014 was not a good year, from an athletic point of view. I was hoping for an improvement on the previous two years but once again I was struck down with health issues and injury. The aggravated hernia Op site (from 2013) meant I only started two races, finishing the one (Malvern Hills Ultra). In October I pulled the Quadratus Lumborum (QL) muscle in my left lower back. It was painful to sit at times let alone to train so the following two months were very limited with a few weeks off to try to shift it. At one point it almost worked, but I got carried away with a 6 mile tempo run and aggravated it once again. I took a break through December. The rest certainly eased out the QL injury, but replaced it with general lower back ache and stiffness, which despite stretches and exercises, I have carried through into January. Gone are the days when I could train through an injury and expect the body to fix itself. A lot of this just comes down to age, and I can certainly now appreciate why some of my peers quit competitive athletics in their 30s and 40s. It gets to the point where you have to ask yourself is it worth the effort and frustration to try to get back to form, especially when you have other life commitments and responsibilities. Everyone is different of course. Some people are happy to retire completely. Some will drop to a much lower level of training (eg to maintain weight, socialise, or just simply enjoy getting out). Then there are those that will flirt in and out of hard(er) training and racing whenever their body allows it! I’m accepting of the fact that I will probably never get to the level of fitness I was at 4+ years ago. Whatever happens, I will always be involved to some extent in athletics whether it’s coaching, PT and nutrition, race organisation. As the blog title suggests, I am back in the gym focusing in particular on conditioning. This in turn will allow me to build my running again. I do enjoy my own structured gym programmes and I worked quite hard back at my Ironman peak. I recommend any athlete no matter what the sport includes at least 3 sessions a week of conditioning work. Improvements from this type of training are hard to spot in personal time-trial and race results so you have to bear with (trust) it. I’m also building my swimming back up again. It’s a painful process of course. Anyone who swims regularly knows how heart breaking it can be returning to swimming after a few weeks off. Unlike running and cycling a lot of swim form comes down to technique. This has to be maintained as much as possible just to hold form let alone improve. So at the moment I’m just trying to hit 1-1.5km sessions as much as possible. I quite like the idea of increasing my distances and either entering a big open-water event, or trying to crack a few time-trial PBs. I’ve managed to go under 2hr for a 7.6km swim (Double Ironman Swim), so I could challenge myself to sub 3hr for 11.4km, or simply a fast 10km. 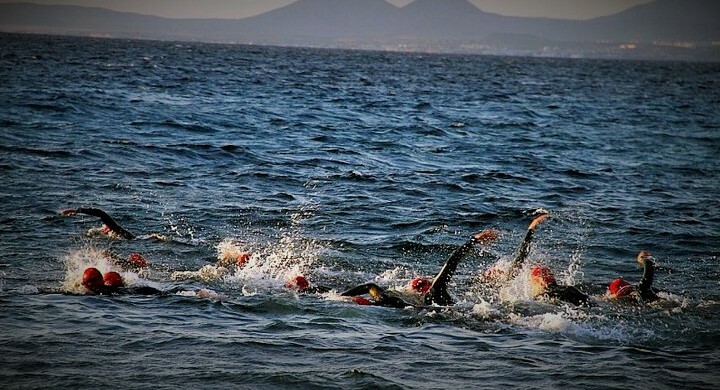 I don’t have much of a leg kick so would look for wetsuit swims (I have always trained predominantly with a Pull Buoy if I’m not in a wetsuit, to save my legs for the bike and run sections of a long-distance triathlon events. This has always worked for me). I’ve just set up the turbo-trainer in a spare room, which will allow me to do a little more leg work while I am limited in my running. I may enter the odd sprint triathlon later in the year ‘for a bit of fun’. Going forward, I was entered into a Half Marathon end of February and the Green Man Ultra (45 mile) early March. I may try and get around the half marathon, but the Ultra is unlikely. I wanted to end my Ultra running with a solid performance, unfortunately I have to train in order to do that! I will be there on the day anyway, whether as an athlete or part of the organisation. 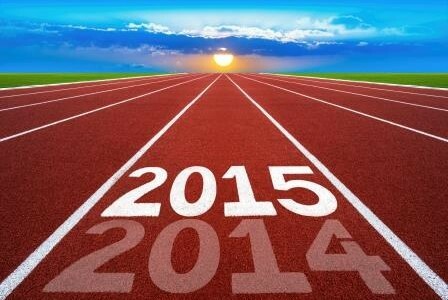 A lot of changes this year both in and out of athletics, let’s see what happens.